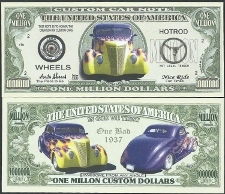 This bill was printed in limited quantity....This is AAC's 3rd Edition of their Harley bills! 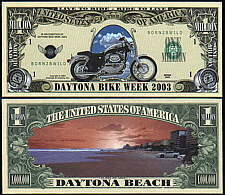 2004 Harley Bike Rally. 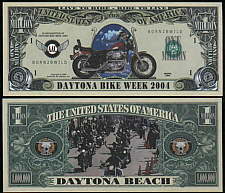 This one is AAC's 4th Harley Motorcycle Bill. We have the other's available too! !